Form factor – no matter how much we love the VSD-E’s form factor, in many cases it was easier to install traditional enclosed/boxed drive inside cabinet than a card type drive. This time drive should be wall mountable box instead of a PCB card. Supply voltage – to eliminate the need of external AC to DC power supply unit, the drive should directly accept AC mains voltage as supply. This adds some cost but it will in total save money as external PSU isn’t free either. Connectivity – in some cases users find the I/O’s of VSD-E limiting (such as no 24V signals can be fed to it without external resistor). 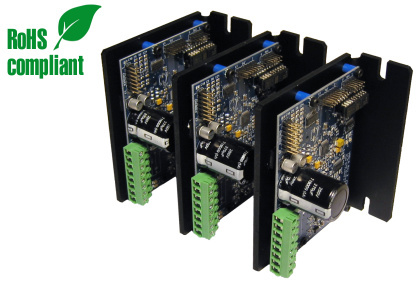 This time we extend I/O voltage range to include the standard 24V while same time increasing number of I/O’s. Now there is enough I/O for dedicated axis limit switches. 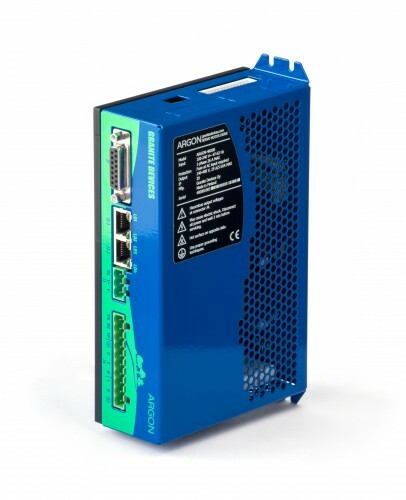 Monitor & setup – the new drive should be able to communicate simultaneously to configuration & monitor software tool while drive is being used by the actual application (such as CNC controller). Field bus – the drive should have a field bus connectivity for those who don’t prefer to use old school reference signals (step/dir, analog, etc). Sensitivity – the drive should be hardened against virtually any amount EMI interference. The new design should have more configurable fault tolerance levels to adapt better in difficult environments (such as arc welding machine). Flexibility – VSD-E (as any other drive on market today) has fixed functionality. Users are able to configure it to behave different ways, but not able to do much outside the predefined set of functions. The new drive overcomes this limitation by incorporating “user CPU” that can run user code. User CPU allows implementing stand-alone controls as well as additional I/O and feedback support. Safety – one of the most missing feature in the motor drive products in general. The new drive should have built-in functionality for safety stopping with various ensured motor stopping mechanisms. Setup – the setup & diagnosis software should be 100% rewritten from ground up. Amount of confusing parameters need to be minimized while preserving functionality. The upcoming drive has been named as Argon. The original plan was to call it VSD-R after Revolution. However the name didn’t sound revolutionary enough to justify the significance of the design changes. Argon practically means the rebirth of the whole business for us, and hopefully even more for the customers. Argon servo drive hardware design has been finished on August 2013 and devices are now in full production. Argon is being used in multitude of applications, including robotics, CNC machine tools as well as professional grade force feedback systems (i.e. racing simulators). Argon in all its glory. It’s not a render! Argon is available world wide through Granite Devices web shop as well as many of Argon distributors. I’m very much looking forward to the new drive, and already have a couple of projects lined up for when it’s released. Having said that, I intend to keep using VSD-E/XE as long as it’s available, unless you replace it with a similar product, as the form factor and features work really well for us. I hope it stays in production! 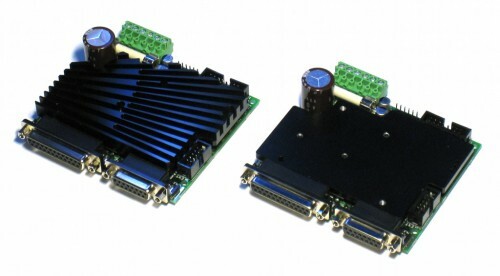 What would it take to build the VSD-XE to allow higher current operation – thicker copper on PCB? Uprated components? Is this possible or practical? Any increase would be useful, but if we could get to 40-50A peak that would be ideal. VSD-E series will continue in production, however, of course not forever. After Argon is ready we start working with Ion and see if there is still demand for VSD-E’s. If there is, then updated model of VSD-E probably will follow (or just larger Ion) and it actually may have the capabilities that you hoped for (higher current traded with lower voltage as >100V range is better covered by Argon). Changing VSD-E to high current should be technically no problem. Biggest change may be thickening the PCB traces. Other changes would be different type MOSFETs and lower value current sense resistors. For this great job you are doing – thank you very much – and a happy New Year ! Looking good Tero, keep up the good work! I am interested in purchasing this drive for a project but I can only find it for sale in Europe. Do you have distributors in the US. Please contact me to discuss. Thanks!